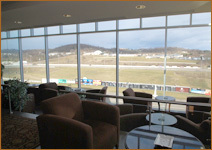 With a spectacular view of the racetrack, the award-winning Bistecca Steakhouse & Wine Bar at the Meadows Racetrack and Casino offers the perfect setting for an evening out. 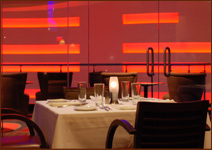 Our menu honors classic steakhouse fare with our all natural angus beef, prime and dry aged steaks. Fresh seafood and Italian influenced specialties set our standards above the rest. 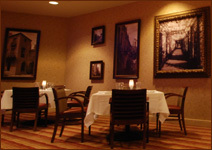 Guests can enjoy an appetizer, meal or cocktails in our lounge, patio or dining room or relax in the Cigar Bar. Our wine list offers more than 150 varieties by the bottle and over 20 offerings by the glass with an emphasis on the great wines of Italy and the United States. Our wines are selected carefully to pair wonderfully with any of our hearty steaks, seafood and Italian classics. 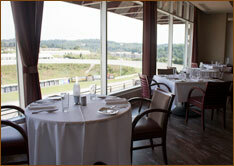 View our menus.